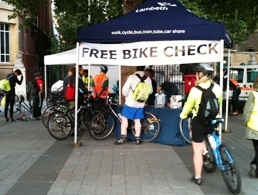 Come to the free Dr Bike this evening at Streatham Common, Lambeth SW16 and get your bike tuned up for summer cycling. The Dr Bike trained bike mechanics will be able to adjust your brakes, gears and tyres and offer advice if further action is required. Information and other cycling materials will also be available. 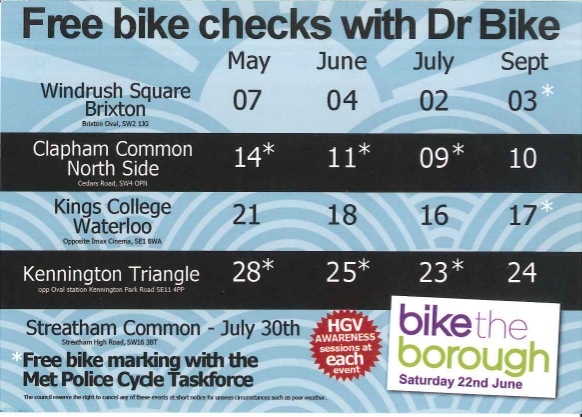 Today, 30 July 2013, 5:30-7:30pm is the only time this year that the Dr Bike will be operating on Streatham Common so grab your chance whilst you can!